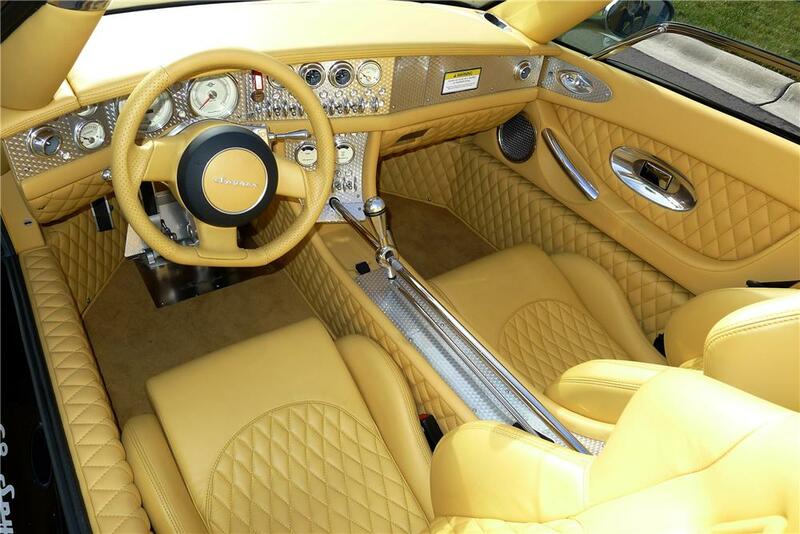 The Spyker C8 is the most popular model from Dutch supercar manufacturer Spyker. In fact, it is the only model from the company to really get going, production-wise (the C12 sold about two-dozen copies). Introduced in 2000, the C8 features an Audi-sourced V8 of 4.2 liters, pumping out 400 horsepower. It’s pretty quick too, sprinting to 60 mph in 4.5 seconds. The car being offered here is two years old, but essentially brand new, having only covered six (6) miles. The original Spyker company, which began as a coach builder, began producing automobiles in 1900. The company was quite innovative, producing the world’s first four-wheel drive car in 1903 (or, the first four-wheel drive car with a single engine. Ferdinand Porsche technically built the first four-wheel drive vehicle, with a motor at each wheel). Four-wheel brakes and a six-cylinder engine were other Spyker firsts. When World War I came around, the company began producing aircraft engines. There are some aircraft touches in there, from the dash switches to the world’s coolest shifter. I really do like the way these cars look. Some supercars are wild just to be wild, but this one is beautiful. It’s a shame that Spyker got tangled up in the mess that was/is Saab. I just hope these cars can continue to come out. Brand new, this car would run about $225,000. And this one is essentially brand new. For the complete catalog description, click here and for the entire Palm Beach lot list, click here. 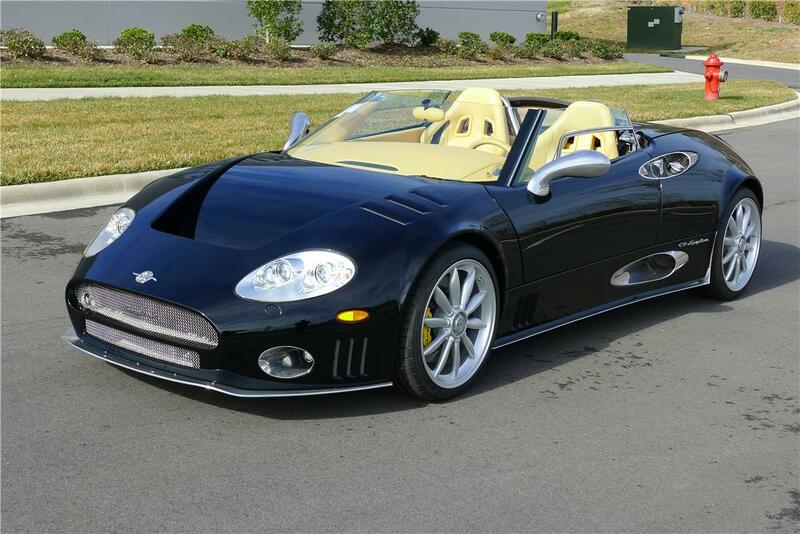 This entry was posted in Uncategorized and tagged 2010, auction, barrett-jackson, c8, car, sports cars, spyder, spyker, swb by classiccarweekly. Bookmark the permalink.